This ferro rod is 5/16" thick so as to easily fit into a leather sheath loop. This high quality ferrocerium is made to light in even wet conditions. The lanyard is a bungee cord made to adjust your equipment including our own bushcraft tracker leather sheath. The wood handle is customizeble: You can cut it down to your preference and/or colore it if you wish. 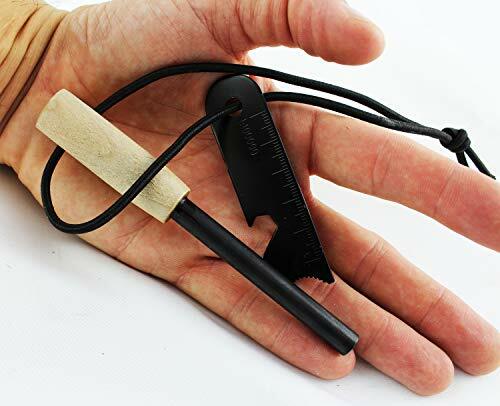 Less than 3 ounces makes this ferro rod easy to carry, perfect for camping, hiking, hunting, cooking. If you have any questions about this product by Moorhaus, contact us by completing and submitting the form below. If you are looking for a specif part number, please include it with your message.